It’s clear to see InPhase is all about the end user undertaking actionable change. Having already pushed the bounds of the market and customer expectations over the last 2 years by integrating a full BI stack (including extensive visualisation, ETL, data mash up and in-memory connectivity to transaction systems) InPhase drops onto your desktop everything you need to make a decision based on fact, process and strategic alignment. 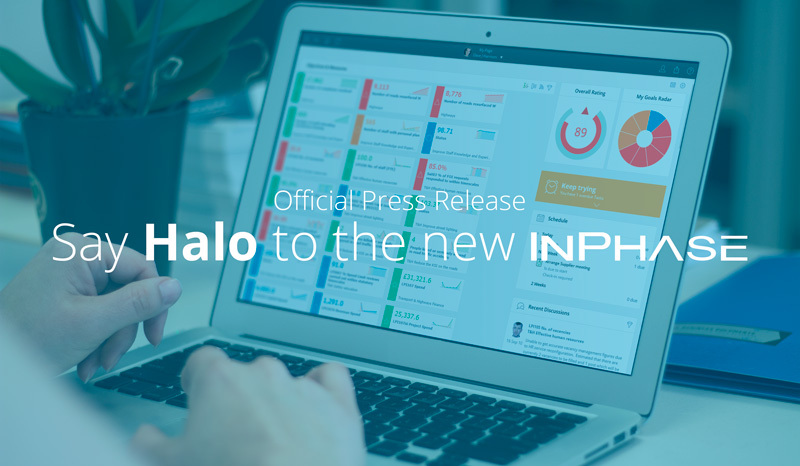 Moreover this latest release of InPhase drives user engagement and uptake not only through the provision of actually useful information but connects this with a brilliantly easy to use interface, push email and gamification. Real-time communication and collaboration in one place lets you discus anything you’re doing including the delivery of KPI’s, outcomes, projects, PDP’s, compliance, and risks – linked to that specific thing. This means less meetings and of course decisions are being captured in an auditable record. Real-time capture of action plans, justification for them, trial and error and managerial input on them means suddenly users can quickly work out which performance levers need to change to drive an improvement across the business and which performance levers already pulled are just not doing what was expected. There’s also less reworking and subsequent challenge on process. InPhase have a few videos on their website. They’re worth a look!